I had the most extraordinary dream a couple of nights ago. I had woken in the early hours and was unable to get back to sleep, my mind restless and unsettled by thoughts and worries. These always appear more troublesome in the middle of the night and it took about two hours to finally drop off. Once asleep, I had a short but intense dream that actually brought me awake again with a start. The dream was extremely vivid; a lucid dream where I was very aware of my choices and movements, just as I would be in waking life. My senses were sharpened. I found myself at the bank of what I knew to be the River Wye, winding its way through a rocky, tree covered gorge. It was in spate. I could hear the water and sense the speed and power of its current. The sounds of the river focused me and I felt at that moment – with absolute certainty – that I had to immerse myself and surrender to it. I waded into the water, the powerful current irresistibly gripping and carrying me forward. I should have been afraid but I wasn’t. The deafening rush and the powerful speed worked together to induce a blissful feeling of peace; the relinquishing of control bringing with it a deep release in my body and mind. The scene suddenly changed and I was on the bank again lying on my tummy on a very stony footpath that followed the course of the river. The path was dry and I was acutely aware that I too felt dry, not merely thirsty but my whole being yearning for moisture. My skin felt sore and longed to be wet and so once again it became clear that I should enter the river. 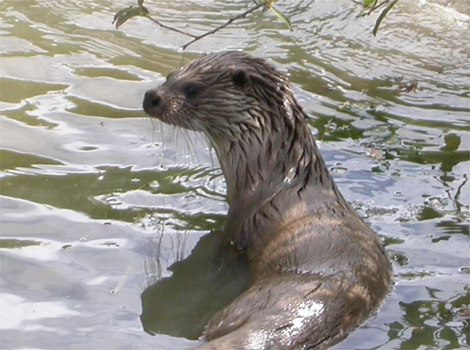 I then realised that I was lying on my tummy because, from the waist down, I had the body of an otter! Moving along on my tummy, I made it to the bank and slipped once again into the current, feeling an immediate change from discomfort to ease, my skin plumping out with moisture, my movements easy and natural. The scene changed yet again, and I found myself naked and fully human once more. I was stood in a cave, the sounds of running water not far away. In the centre of the cave’s floor was a stone carving of an otter’s tail, poking up from the earth as if the otter had dived into the soil, its tail still visible. I felt the most amazing surge of sensual energy – utterly alive, my senses achingly acute – the feeling was so strong it woke me. Once fully awake again, I immediately thought of Philip and Stephanie Carr-Gomm’s beautiful Druid Animal Oracle. The Oracle associates the Otter with joy, with allowing oneself to become a child again; Otter encourages us to relax and trust the flow of events, to not take ourselves or life too seriously. I am so aware that life has felt oppressively serious for me for some time now. I have written here often about how easy it is to become habituated to stress and crisis and of how difficult it can be to then give oneself permission to play, not only in our leisure time but in our work also. Joy and responsibility need not be at odds with each other and sometimes play can move us beyond the obstacles and difficulties we encounter with more ease than struggle. I really need to learn to embrace more fully this rather wonderful notion; it doesn’t feel easy for me but I know that it is something that I would greatly benefit from. I think I have mistakenly thought that I need to cultivate joy and play, to work at, until it becomes a much more natural response for me. After my dream, it occurs that this laboured approach rather defeats the object. Play really shouldn’t be such hard work! In my dream, all it took was letting go, trusting and opening; it was remarkably easy! I rather resented waking up from such an extraordinary feeling. Yet another watery creature that has moved me recently with its playfulness was a seal we were lucky enough to see whilst holidaying in St Ives. Walking above Porthmeor Beach, we noticed that the surfers were straddling their boards, bobbing on the surface and circling around something in the water. People had started to gather at the sea’s edge to watch. It soon became apparent that the ‘something’ was the head of a curious and playful seal, only feet away from the shore, obviously very taken with the surfers and wanting to join in the fun. As the surfers mounted the incoming waves, the seal dived and resurfaced amongst them. When the waves lulled, it would come up for air in the very centre of the group. The surfers were obviously delighted to have such intimate and joyful contact with such a beautiful creature; the seal apparently enjoying their company immensely. It was a wonderful thing to witness. 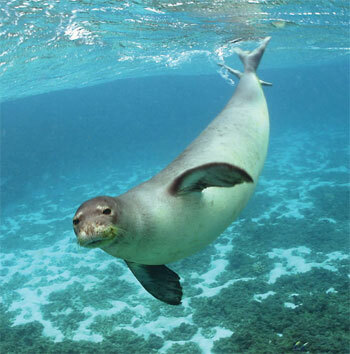 There seemed to be some unspoken connection between the seal and its playmates, one that transcended the boundaries of each species; a uniting of souls in the joyfulness of play. In our world where there is currently so much civil and environmental unrest and suffering, it is so good to be reminded that joy and play are universal qualities, shared by all life and all beings. We do ourselves a disservice to view them as mere luxuries, only to be indulged in when more serious work has been attended too. They are central and essential to our well-being, and as my dream taught me, when we embrace these qualities we are filled with a renewed energy and spark that reminds us we are acutely and intensely alive! 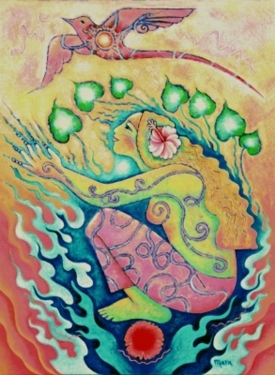 At this time of Imbolc when the Goddess is transformed into her Maiden self, it can be helpful to acknowledge, honour and bless the Maiden within. No matter what our age, we can still feel her youthful innocence, energy and optimism moving in our beings. She is that eternal, ageless core that brings courage and freedom. If we look back over our lives, we will see that our Maiden selves have ventured boldly into the world to explore many times. Young and inexperienced, she can be fragile; there will have been many occasions in the past when we could not know or see the dangers or hurt that would befall her, and many times we will have felt the pain that experience can bring. But the Maiden reminds us that we always have the power to begin again – renewed, untouched – and that despite the troubles that life may bring us, the source of our joy and playfulness is always there to connect to once more. 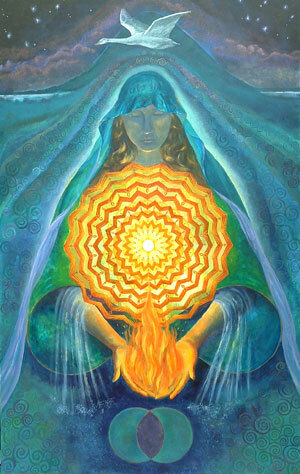 Our Maiden self is the spark at the centre of the Source; the spark at the centre of our Goddess selves. Like the gentle power of a new moon, the Maiden can help us to heal all the hurt and trauma of the past; sooth each scar; dissolve each knot of distrust; replace the fear with an openness and love of life. Through her there is always the opportunity to reconnect with our joy and spontaneity, even when the darkest of times have gripped us; even when we thought that we might never feel hope again. Love, honour, and embrace your Maiden self with compassionate acceptance, as you would a much loved daughter; as the world slowly awakens, make a space for her playfulness and joy.